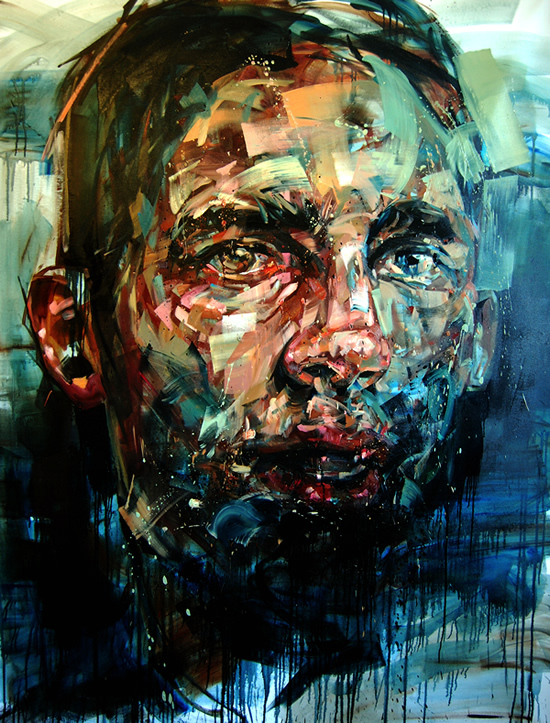 Stunning masculine paintings from Canadian Artist Andrew Salgado. The colours in these painting are amazing, there’s so much energy in each one. 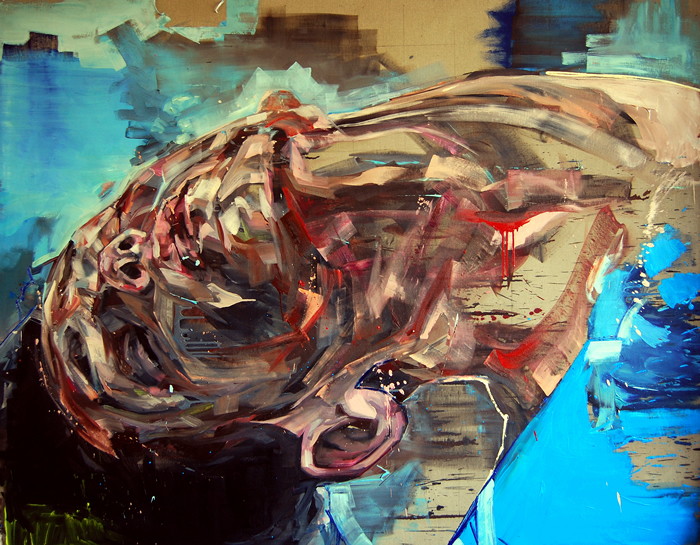 His expressive work reminds me of paintings by Jenny Saville. Andrew has exhibited in London, Berlin, Oslo, Sydney, Vancouver, Toronto, Merida (Venezuela), Niamey (Niger), Chiang Mai (Thailand), and Busan (Korea, forthcoming 2012). Andrew featured in the Channel 4 (UK) documentary ‘The Science of Art‘ alongside Anish Kapoor and Bridget Riley (2011) in which Matthew Cain (culture editor, Channel 4 News) examines whether neuroscience can be used to explain – and create. Wow! These are fantastic. 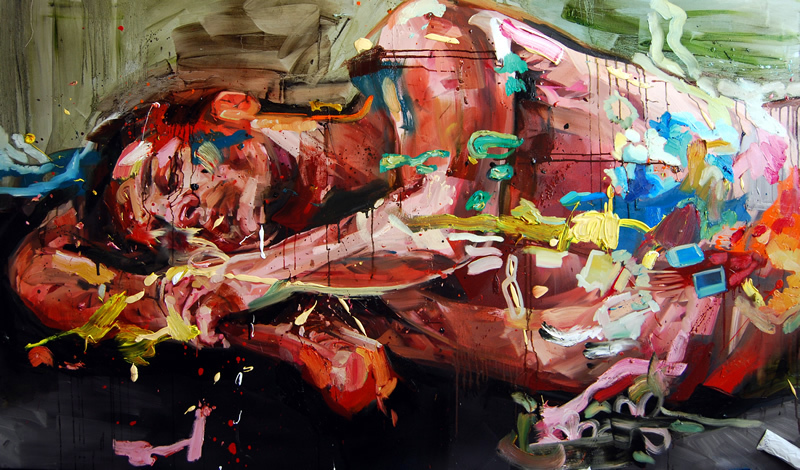 They reminded me of Jenny Saville too. 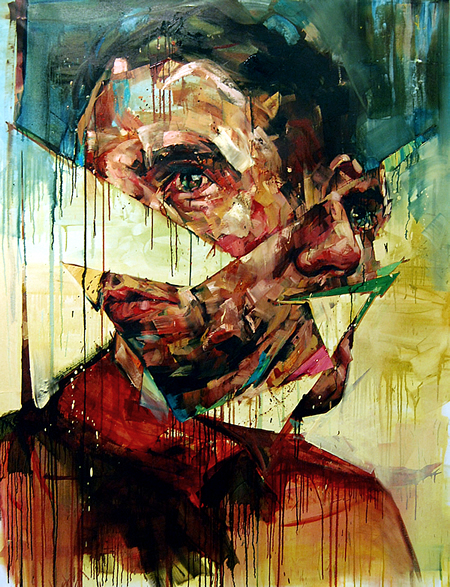 I wouldn’t say that these paintings remind me of Jenny Saville I would say that they are plagarizing Jenny Saville. Duh.